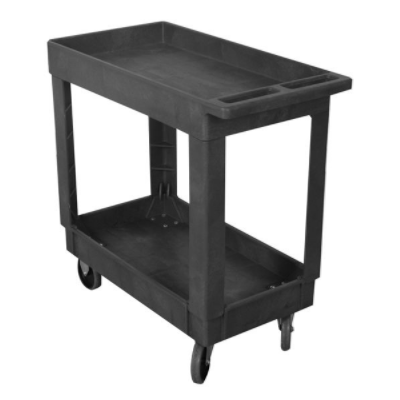 This plastic service cart will carry up to 500lbs of your supplies, tools, boxes, etc. this model comes with two or three drawer-like shelves, so that whatever you put on this cart will stay put and will not slide off as you move it. 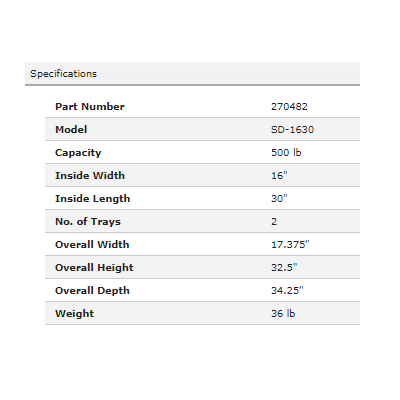 It comes with four 5” non-marking casters. This is a great cart at a great price, delivering on the HandTrucks2Go promise of the best quality items at the best prices, always. This model is available in 16” by 30” or 24" by 36". 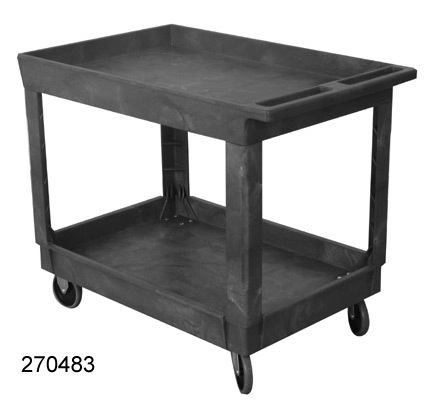 Do you want a steel utility cart? 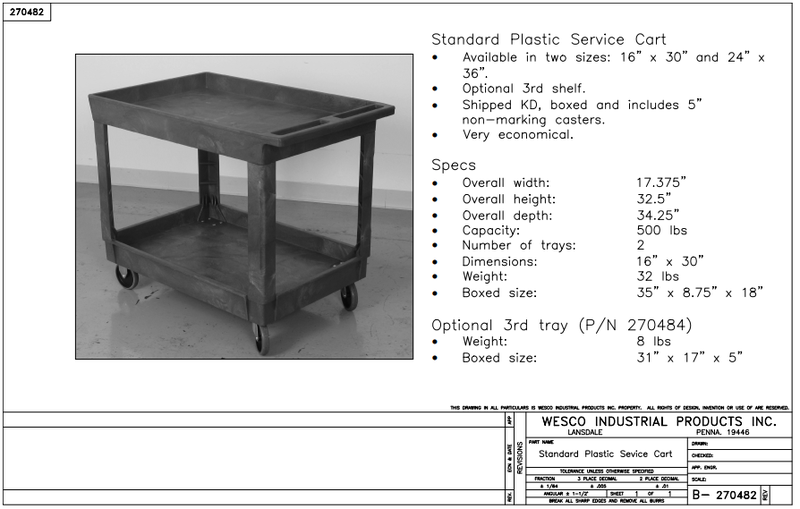 Check ot our big 2/3 shelf large steel service cart!